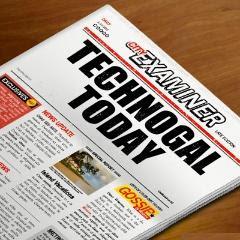 Technogal: Do you believe in psychic ? Many people out there believe in Psychics! Are you one of those people? and why? I've been reading for a while about this topic and how people get really influenced by psychics. Telepathy: It is when having telepathic abilities such as sensing the thoughts of others and controlling their minds. Mediumship: the supposed ability of a person (the medium) to experience or to tell others about their experiences of contact with spirits of the dead. The medium generally claims to allow communication between non-mediumistic people and spirits who may have messages to share. Psychic : someone claiming supernatural guidance in predicting the future. 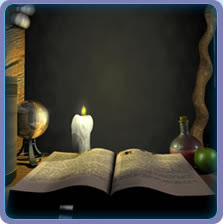 Cold reading: a technique often used by mentalists and fraudulent fortune tellers, psychics, and mediums to determine details about another person in order to convince them that the reader knows much more about a subject than he or she actually does. Zener cards: A test or a technique used to check the psychic ability in a person, where the user of these card have to predict or guess which card was selected. I believe that psychics have their own way to convince people on their supernatural ability, it is clear enough that god and only god who knows about the future, and no one in this whole earth could predict the things that will happen in the future, even though if it happened by coincidence it does not mean they really know it. They can tell you things and that depends on your way of thinking, they have the ability to study your mind very well and build their reading just from the things you provide them. They ask you questions that are very important to them in order to give you the things you like to hear! I only believe in the sixth sense in which a person have a strong feelings about something and later on he discovers that those feeling were damn true! Do you have a sixth sense? What was your experience, and how do you feel about it? No, I don't believe in Psychics. I believe that those who claim themselves to be Psychics just have a sense that allows them to quickly observe and decipher a person's aura and personality. No, I don't and I never will..I just feel its a mind game! So do I :) that's what I am trying to conclude here, brain games! if you add a counter on this blog my hits will be more than yours :) when is the next post coming? he he he.. only god knows when it is coming! oh yeah i do believe in telepathy! sometimes you think about someone and suddenly she calls ..shisamoona hatha? waaayid etseer feeni weya el close friends w el b3aad ..wanasa! You are probably having a sixth sense ability! and that happens when you have deep feelings or thoughts about someone and then you suddenly hear about those people or maybe receive a phone call from them! Unlike Telepathy in which an unordinary person having the ability of controlling others minds. and yes to have this feelings "WaNaSa!" Wow so you inherit this ability from your grandfather! Are you having some sort of visions?